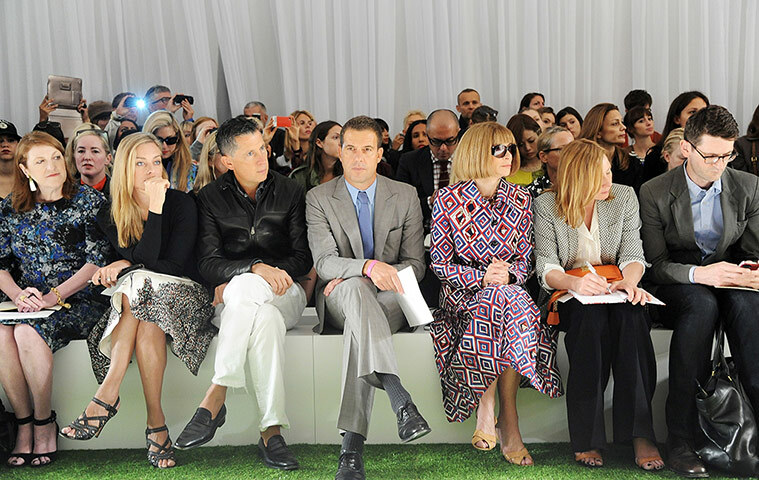 After a week of frenzied shows, London Fashion Week wrapped up on Tuesday. London usually sets the stage as the most cutting edge when it comes to experimenting with street style and creativity. Vivienne Westwood used her show to make her views and statements known. Vivienne Westwood, best known for her punk roots, street-edge clothing, and references to old-English style, used her show to proclaim her stance about the climate and her environmental position. She also had some in the front row wear shirts that declared her support of Julian Assange, the founder of Wikileaks. Her Red Label collection could be described as having an edgy sophistication. Throughout the week of shows there was no definite strong theme but rather serveral smaller trends that would echo from one show to the next; color, texture, shine, layers, cut-outs and of course retro. London always has a way of defining it's style using retro or street influences. Burberry, known for the traditional trench coat and classic tartan print, brought us to the future with its metallic leathers through their collection. 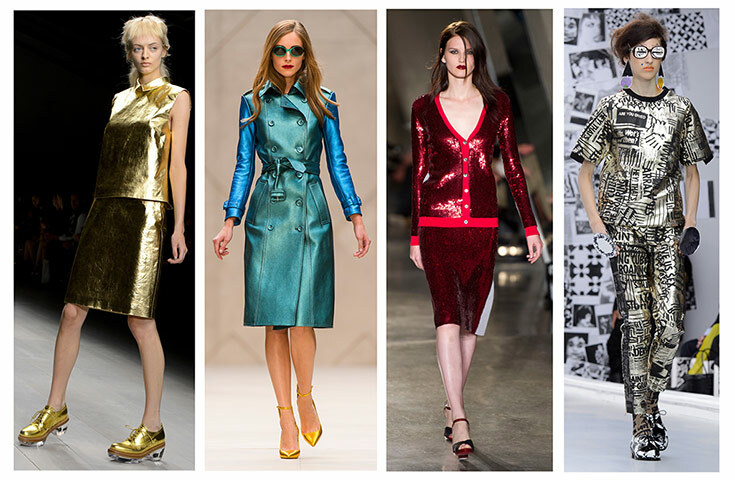 Elements of the future through shiny fabrics, foil textures, metallic gold and silver was one of the trends for next year. The softness of the season came through light feminine sheers, chiffon and layers of organza. Residual influences of the Olympic games came through a sportswear influence seen on the runways of Rag & Bone and Richard Nicholl. Sheer panels, gold, floral patterns and neon brights were all part of Simone Rocha's spring collection. Color dominated again for next season. 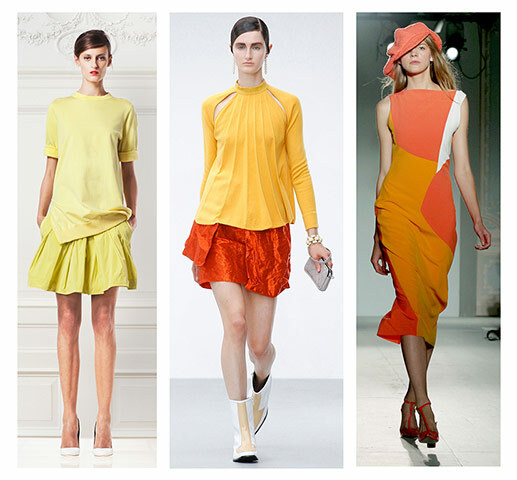 Bright lemon yellow, citrus orange, Olympic blue, pink and emerald were all highlights on the runway. No shortage of celebrities at the shows, Kate Moss took in the show at Mulberry. Other celebrities included Lady Gaga (who appeared on the runway for Philip Treacy), Emma Watson, Mischa Barton, and Naomi Campbell. Metallics were a big trend on the runway. Sportswear influence at London Fashion Week. 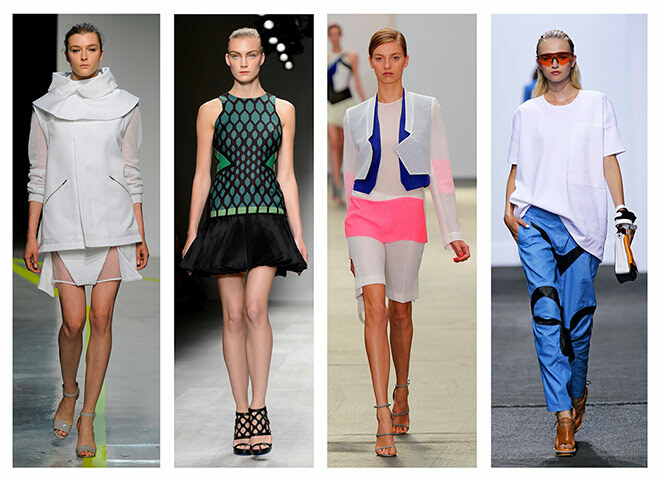 Antonio Berardi, Richard Nicoll, Rage & Bone.